The Black Panther phenomenon continues. First, there was the hype surrounding the movie’s release. And then there was the amazement after the premiere, proving that the hype was well deserved. Now that Black Panther has been in theaters for a few days, one of the fan favorites has to be Princess Shuri, who’s anything but your average Disney damsel in distress. And we have to mention the not one but TWO Black Panther end credit scenes that left us wanting and waiting for more from Marvel. While it seems like everyone has already seen the film, there was one person who wanted to make sure a special group of girls enjoyed the monumental occasion. And she wanted to watch the movie along with them too. That person would be Serena Williams. Yes, the Serena Williams. 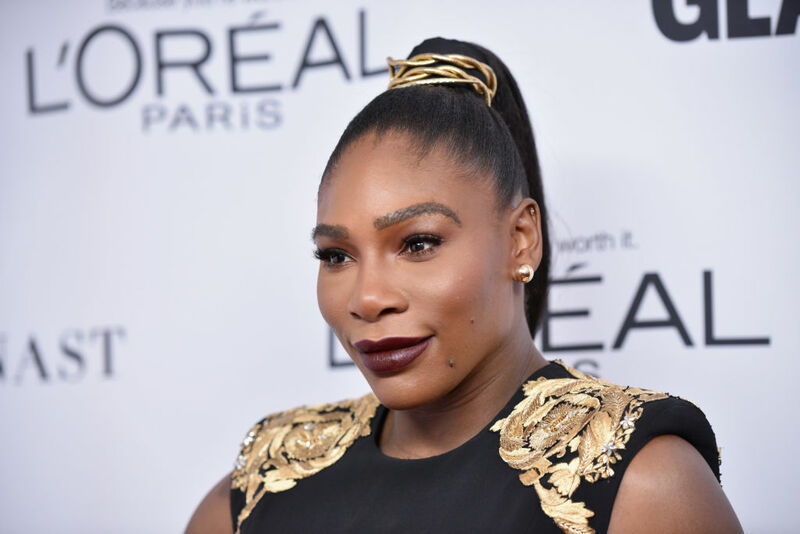 On Thursday, February 15th, Serena Williams surprised a group of Black Girls Code students by showing up to their private Black Panther screening in San Francisco. The girls knew they’d be enjoying a private screening, but it was icing on the cake when Williams walked out. And thanks to the awesomeness of social media, we saw the very moment the girls lit up. Serena Williams’ husband, Alexis Ohanian, is the co-founder of Initialized Capital, the organization that invited the girls to the screening. He shared the exact moment when Williams walked in and greeted the girls. Some clapped and cheered while others stared in disbelief. A few were quick to whip out their phones and capture this surprise. Black Girls Code is a non-profit that teaches and encourages African-American girls to learn code, with the aim of increasing the number of women in color in the tech space. Black Panther’s Princess Shuri is technological wiz and gives Black Panther’s uniform a major upgrade. So it was only natural for these young girls to see the film. Before the screening, Serena Williams shared the importance of the movie. "I'm glad you guys could make it out," Williams says in Ohanian's Instagram video. "Obviously, this is a huge moment for us, and for Black people. We've never had a superhero movie, so we're so excited. I feel like I've waited my whole life for this." Thank you, Serena, for being their real-life hero!